Oh my god, I can't believe it's been so long since I last updated! I've gotten tons of new toys ever since and well.. still no place to display them. I took a little break from buying any new toys for awhile so I could spend the money on re-vamping my room. I did manage to re-paint my room but still haven't gotten around to buying any shelves.. Oh actually I did get a few but then never gotten around to actually installing them lol. Anyway I hope to get back on track soon! I've been feeling really restless everytime I come home because my room is so.. meh. I just know my toys will bring some sort of energy to the room IF only I would have them displayed. 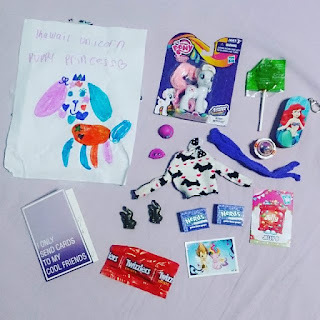 Meanwhile, I just want to share some Instagram pictures of all the cool stuff I got from a little Christmas swap I did with some of my toypals from all over the world! Yes I know Christmas was like 6 months ago! She got me a Monster High Twyla vinyl which I love so much and was planning to collect someday. She thought Twyla kinda looks like me so she just had to get her for me! I was really shocked because our swap limit was 7 USD and these vinyls cost like 20 SGD in retail stores here! And that was not all! 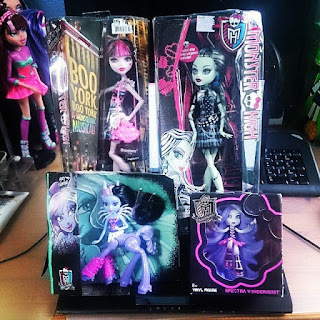 She decided to send me a second surprise package containing these 4 Monster High toys a few weeks later! I really can't believe I got to know such a sweet and generous lady! I was really touched by this and I hope I do get to meet her in person someday! So much thought was put into her package! I absolutely loved the little notes she attached to each item! She and I are Zelf fans and it just so happens I hadn't started collecting series 5 yet. She also sent an extra pom pom for my Ghoul Spirit Spectra so she can have 2 just like on the box art! I thought it was super cute and thoughtful of her. She also got me some handmade goodies from her etsy store! I super love the felt fox keychain she made that I immediately attached it to my house keys. 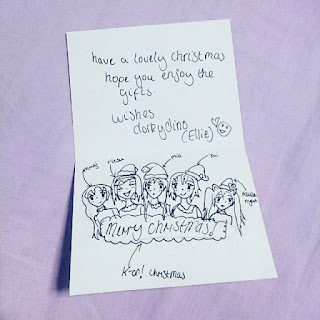 And I think she knew from my blog that I love K-On so she drew this lovely card for me! Next, I got this yummy pack of jellybeans and a caricature of me from @oriental.fleur ! 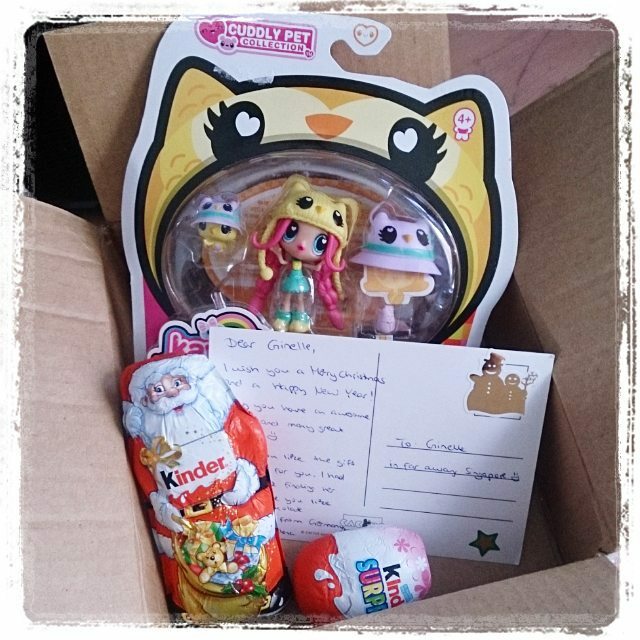 I got to know her on Instagram too and I was si excited to finally know a girl in my country who collects toys! The jellybeans tasted really awesome I finished them in less than a week lol. I really love Kinder chocolate. The Kinder Surprise she gave me happened to contain a My Little Pony toy! Goodies from Jon Jon and Avvi of Kawaii Unicorn Puppy Princess! I knew Jon Jon from the Zelfs Buy Sell Trade Facebook Group and on Instagram. I think the bond Jon Jon and Avvi have is really cool. 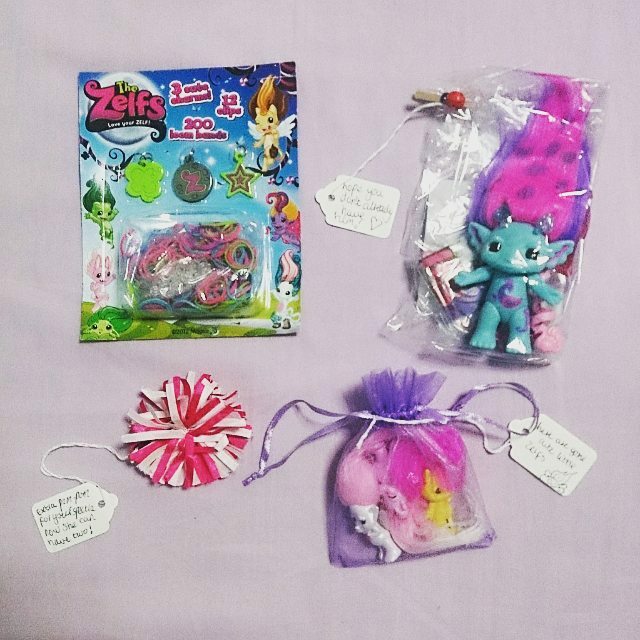 Check out their videos Youtube and see just how much fun they have toy hunting together! 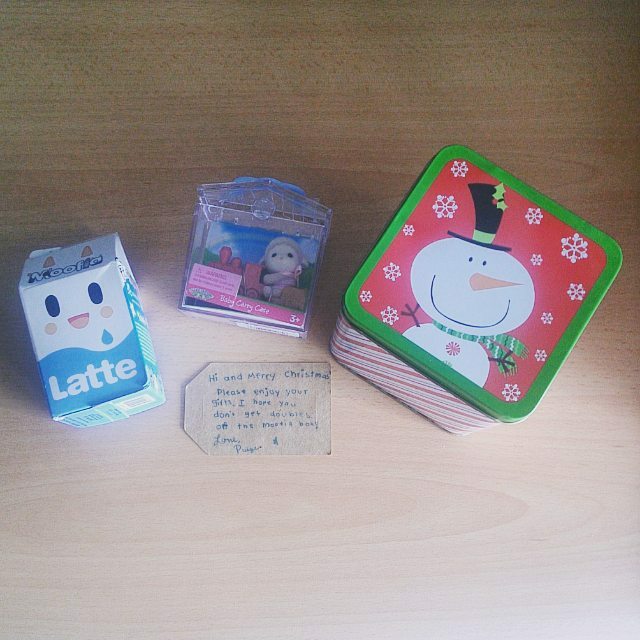 Not forgetting this lovely package from @ohmyponiesss! 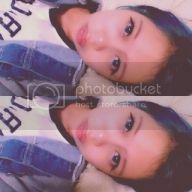 She's another fellow toy collector from my country. 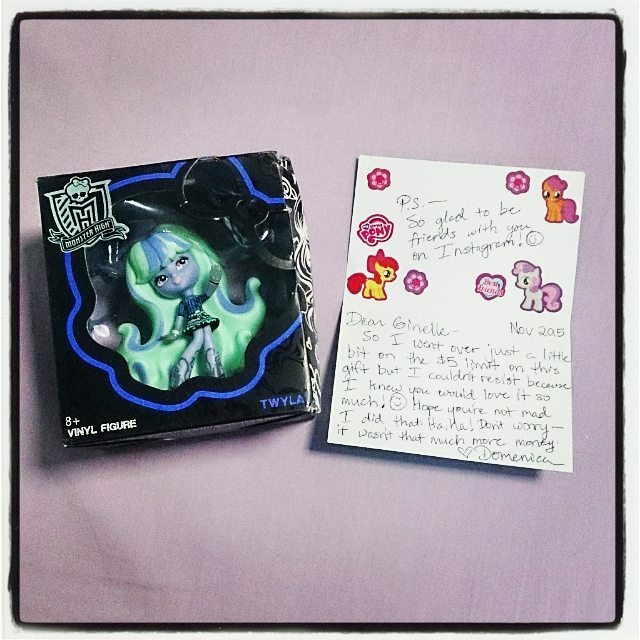 I first came to know her when she bought a TOKIDOKI Unicorno from me and then happened to find me on Instagram weeks later. Next are the gifts I got from Paige; she got me a TOKIDOKI Moofia blind box and a Sylvanian Families baby carry case. 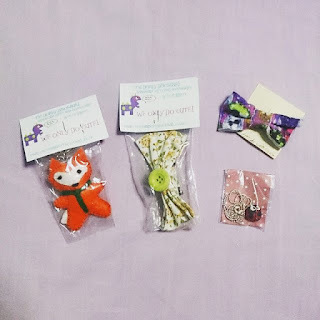 I thought the tin she sent them in was absolutely adorable! 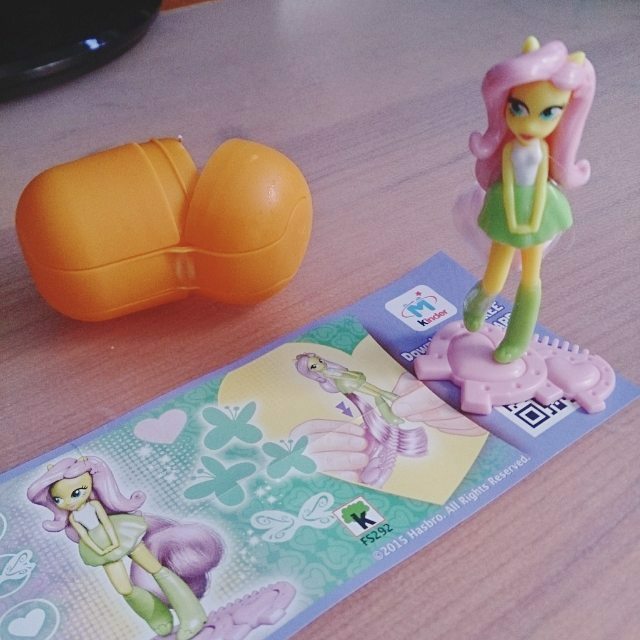 I got my first Tsum Tsum and Littlest Pet Shop figure! And the awesome Lego minifig I got was this guy in a shark suit! He came with 2 faces and I thought it was pretty funny and ironic for him to look terrified in such a mean looking costume haha. 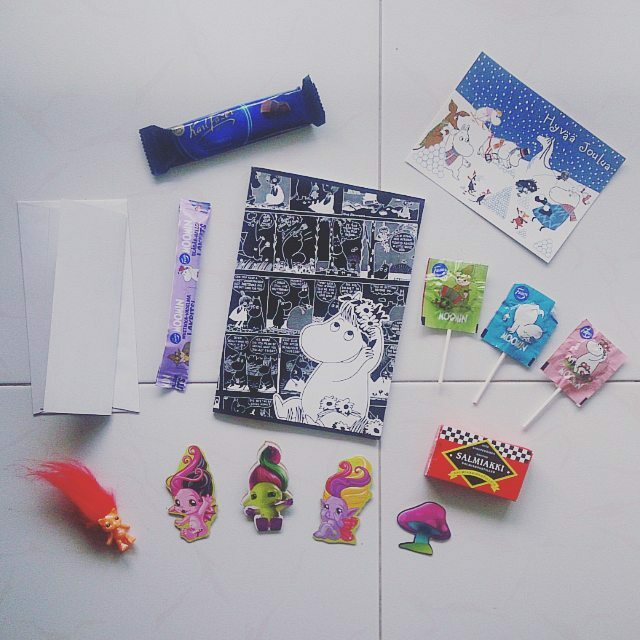 I got lots of Moomin stuff (and a lil Zelf) from @memouseketeer! I came to know her from liking and commenting on her Instagram photos too xD Apart from her awesome vintage toy collection, she also has a very cool fashion sense! 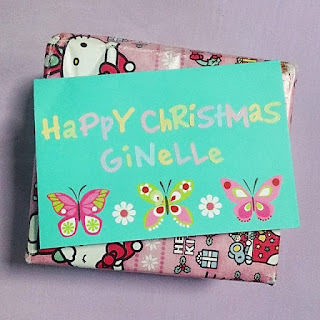 And finally the last package I received for my X'mas swap was from @twinklestahh! 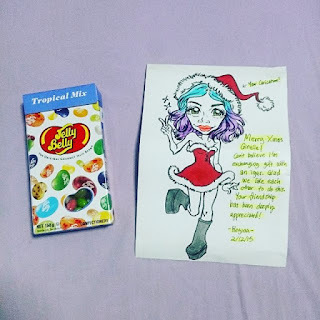 Her initial package for me actually got lost in the mail :( But she was so kind to send me another to ensure I gotten something in exchange. 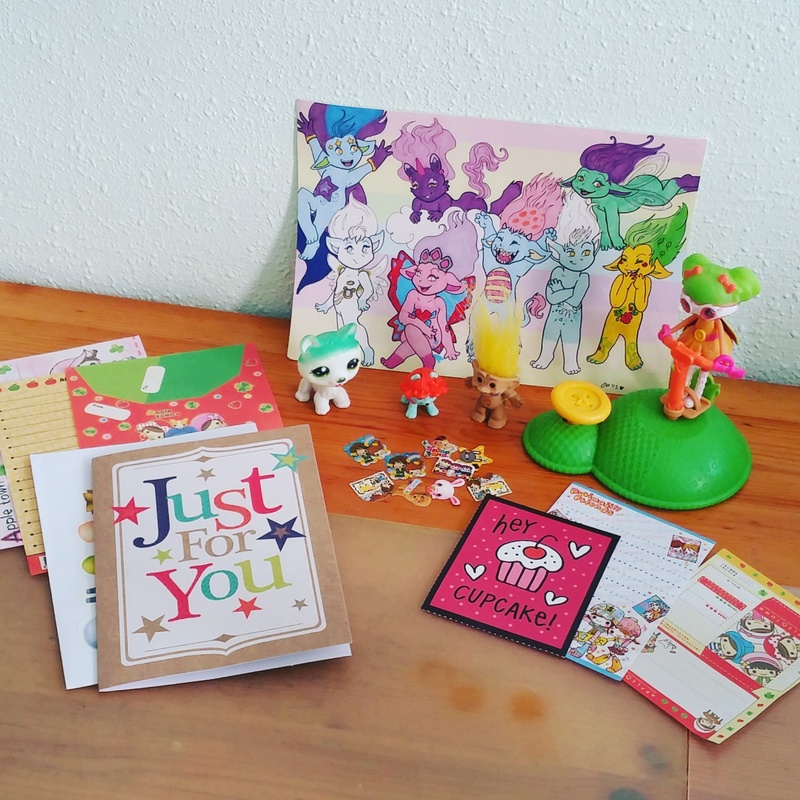 The Zelfs card is actually drawn and printed by her! I was really thrilled with the Lalaloopsy mini she sent me as well as the mini troll! This is actually my first legit troll that isn't a Zelf lol. 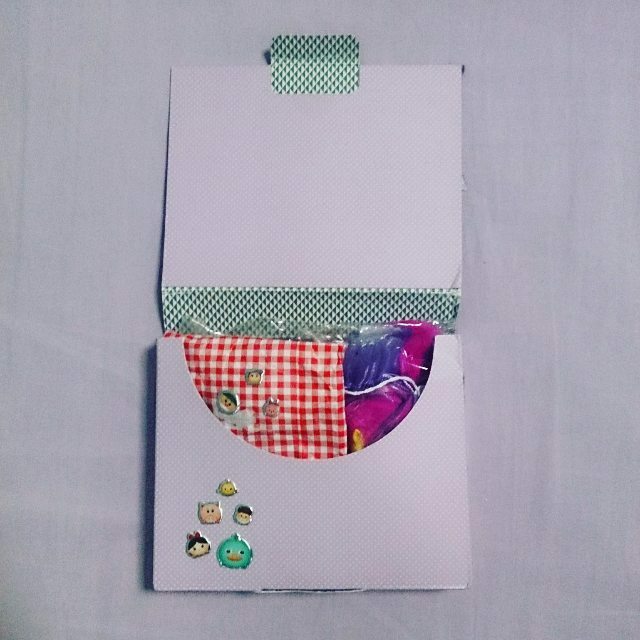 She also sent me a bunch of cute stickers and letterheads. I am really extremely grateful to have been able to exchange gifts with so many people last Christmas! 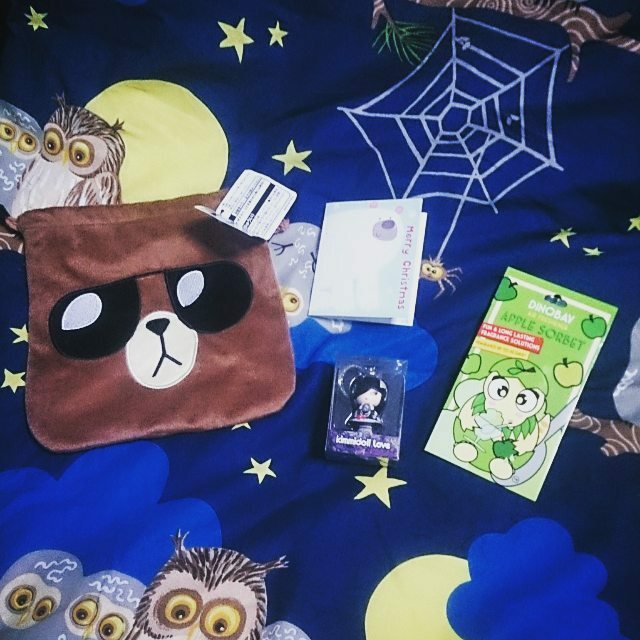 I don't usually get Christmas presents because I have very few friends. My family never buys me anything either so it was really fun doing this! I really love letters and parcels. It was always my dream to have a penpal when I was younger. But it's a little redundant this days with easy communication through the internet. I've always wanted to collect them because I love their crazy colored hair. 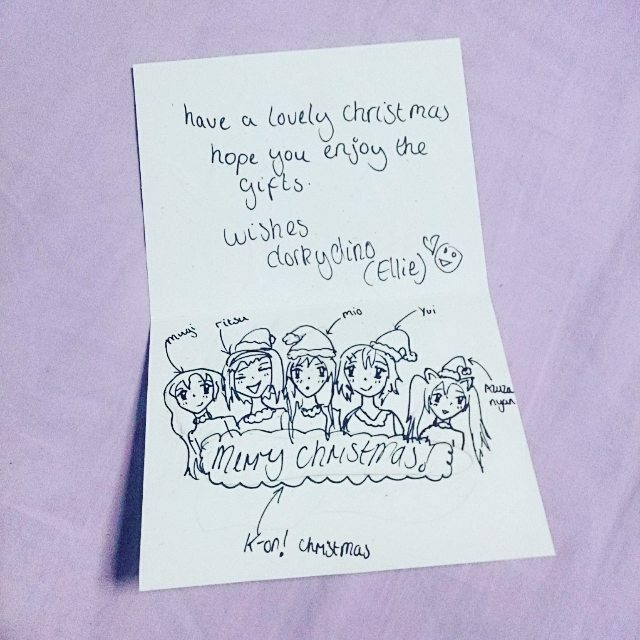 The first few dolls that drew me were Venus McFlytrap and Catrine DeMew! I thought Venus was really cool because she was green (green is one of my favorite colors) and has a side shaved hair-do! 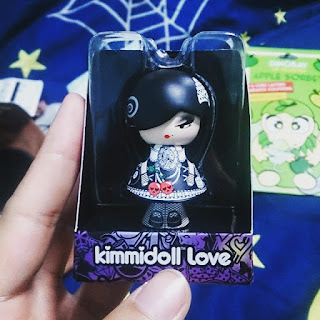 Something I almost never saw in dolls until only recently. And Catrine's color scheme is purple - another of my favorite colors! 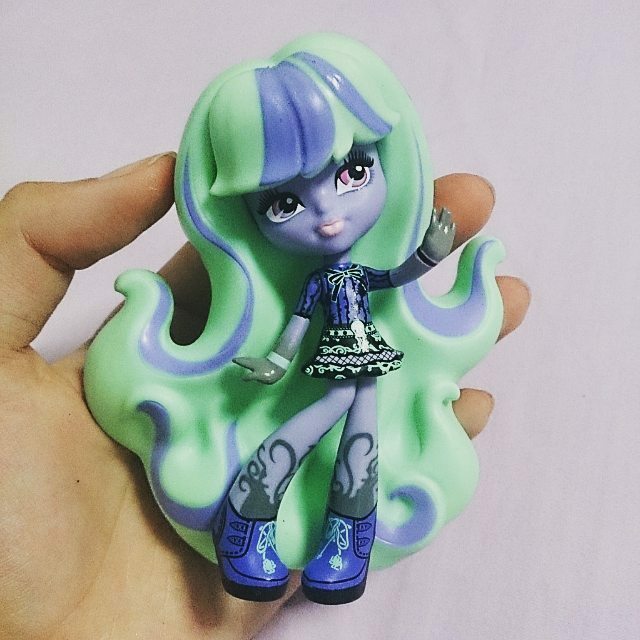 My friend chose Spectra for me because I had purple hair back then. Also, he thought she looked alot like me. Spectra Vondergeist - Daughter of a Ghost. Poltergeist definitely rang in my head! I think the doll's face doesn't really look like how Spectra looks in the cartoon.. Her earrings are black unlike those on her box-art. I don't mind it though. But they are abit large in scale. These are removable. Cute shirt with the Monster High logo and some chains. Her hands are removable! I'd be extra careful when removing and putting them back on though, they seem quite fragile. Her skirt. Chains seem to be Spectra's theme though. I wonder why..
She also has clear feet! I really love this detail of her which makes her look more spirit-like. 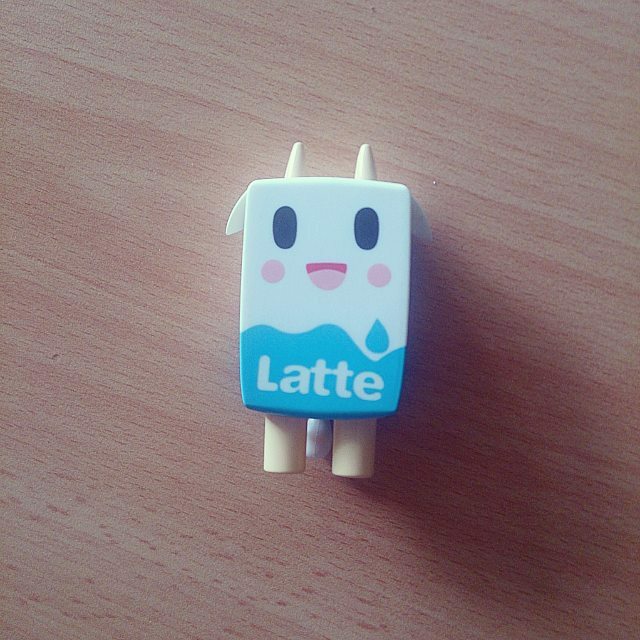 This is the second part of my Popin' Cookin' review :) If you missed it, here is the link to part one. The 4th set I'm going to review is the Pizza Set! A pizza box was provided in the form of a cut-out in which you had to fold and tape down. I didn't use the box for my presentation because for some reason, it kept curling and yowarping. Maybe it would've been better if the box was made out of paper or card? This was easier to make than the Hamburger Meal Set but just as fun. I did panic a little with the cheese though: it seemed gooey and impossible to cut after mixing, but apparently it just takes some time for it to solidify. The potato squares are made the same way the fries were in the Hamburger Set but it was alot of fun making the pizzas. The steps are almost similar to making a real pizza (making the base, spreading the sauce, adding the toppings). The cheese topping actually melted after being put in the microwave! Next is the Sushi Set! I was really excited about this one because of the fish roe sushi. No microwaving needed for this set. Everything is made by adding water. The tamago and salmon solidifies and becomes konaku jelly-like after leaving it for awhile. Making the fish roe was like magic! Again like the ramen noodles, how does liquid dropped in liquid turn it into a solid?! And look at the rice! It looks so real! I'm just so amazed with the texture. Omg they look so real and appetizing! 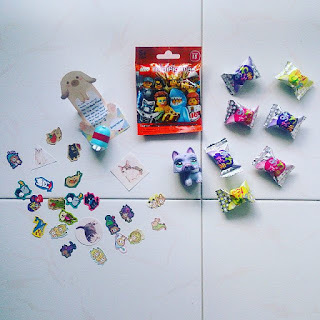 This set also came with a cut out which I accidentally tore -_-" So be careful with the packaging if you want to use them for your presentation. The cut out had mini plates on them for you to put your sushi on, which I thought was pretty cute. This set also included some 'soya sauce' but I didn't have a mini saucer to put it in. Easy to make but getting the fish roe to stay on top of the sushi might be abit tricky because the rice is not sticky at all. The fish roes actually glide off the rice because it's smooth. All the ingredients tasted like grape candy, but not the same kind. 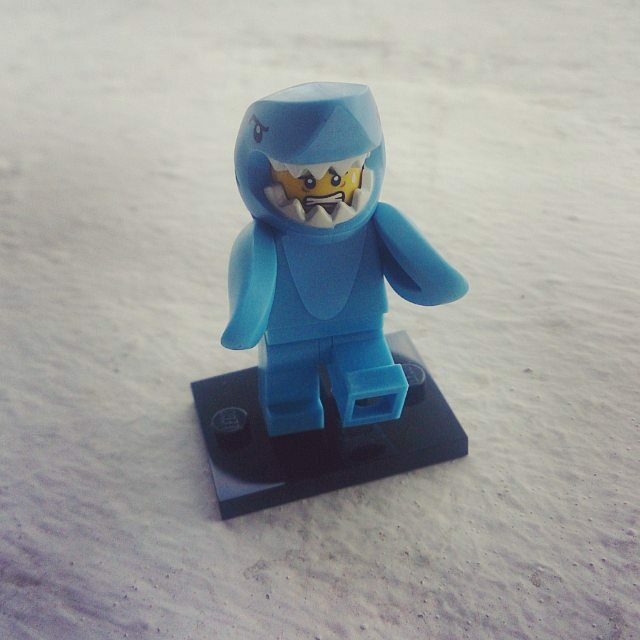 Wouldn't it be interesting if this set did taste like rice and fish? But then again, I'm not sure if that's such a good idea.. Although the ingredients themselves didn't taste bad, the texture made everything feel and taste weird in my mouth. The only sushi that tasted nice was the fish roe one because the seaweed is made of that Hi-Chew type of candy. The fish roe actually pops when you bite down! The rice was a no for me. It didn't taste bad but it was pretty weird because of the texture. The texture was nothing like real rice. Funnily, the so-called "soya sauce" actually does make everything taste better! And lastly the Donut Set! I was really drawn by the sample donuts on the box and thinking that these would actually taste like real donuts. One thing I dislike about these Popin' Cookin' sets is how ridiculously small the containers to mix the powders in are. I spilled quite abit of powder each time I had to stir / mix something. Not a very good idea if a kid who wishes to make these because if you spill too much powder, you might not have enough mix to make certain parts of your food. Mini donuts! Looks pretty real too don't they? So did these taste like actual donuts? Sadly, no. The lighter colored donut base smelt like vanilla but tasted nothing like vanilla. I can't really put my finger on what it tastes like. It definitely didn't taste like grape soda or Ramune candy though. The darker one smelt like chocolate but I couldn't really taste the chocolate in it. The bases themselves taste weird without any icing, but it's not an unpleasant taste. They felt pretty funny to chew though - much like the sushi rice. In my opinion, you can skip the smaller sets like the Ramen and Takoyaki ones. After buying so many, I realised that most of the process includes the same few steps so it isn't as thrilling or exciting once you've done the slighty more complicated sets like the Hamburger Meal. So which of the sets I've reviewed would you like to try out?